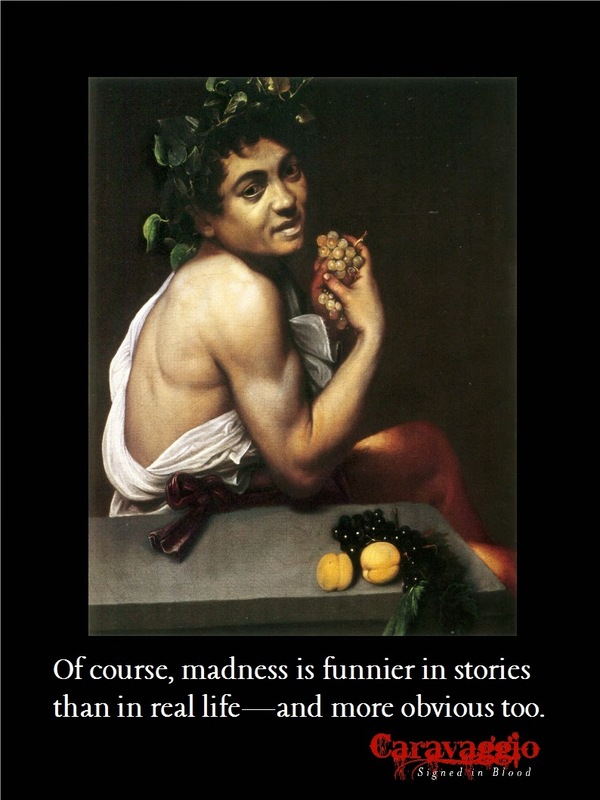 So I've created this poster/meme featuring a quote from my novel, along with what I would consider a relevant, thematically connected painting by Caravaggio. This painting does not actually appear in the book, but the mixture of Bacchus' mischief, his disdain for the opinions of others, and the pallor of illness make for a disturbingly inviting portrait, and give you a sense of Caravaggio's character as I have imagined him. This painting, known as Young Sick Bacchus, is dated 1593, about a year after Caravaggio first arrived in Rome.